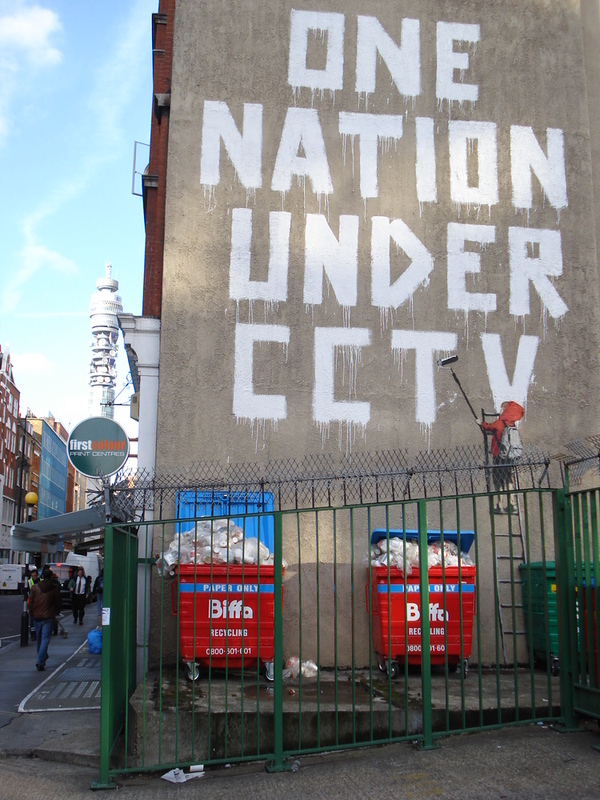 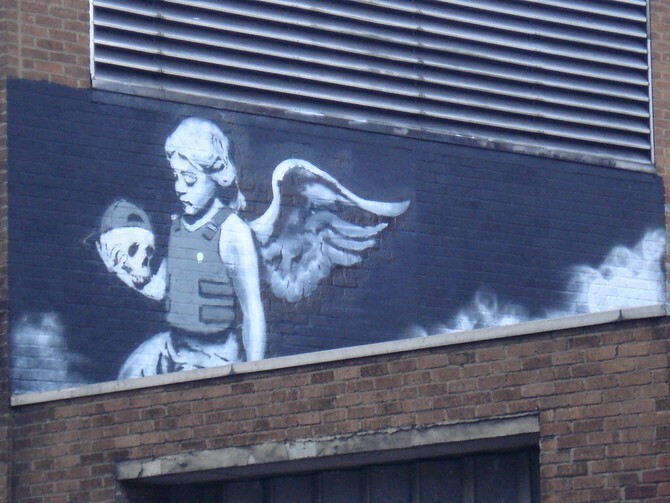 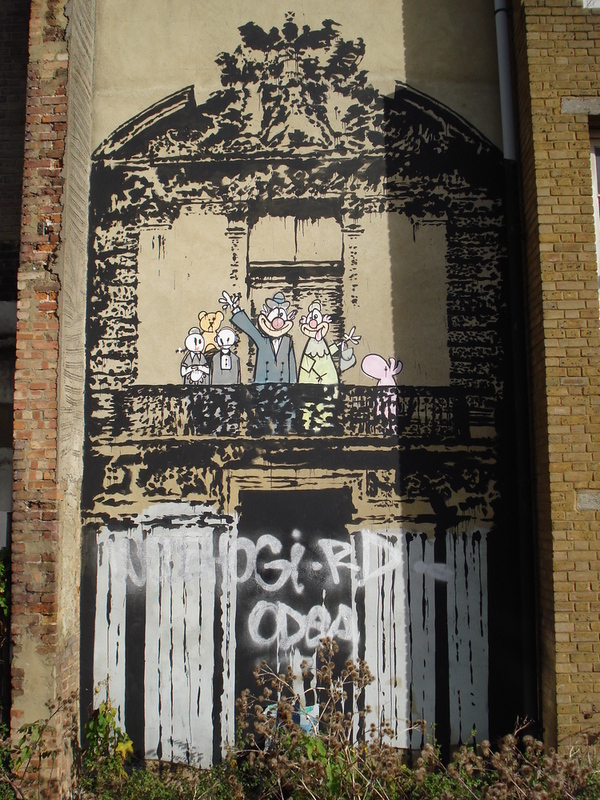 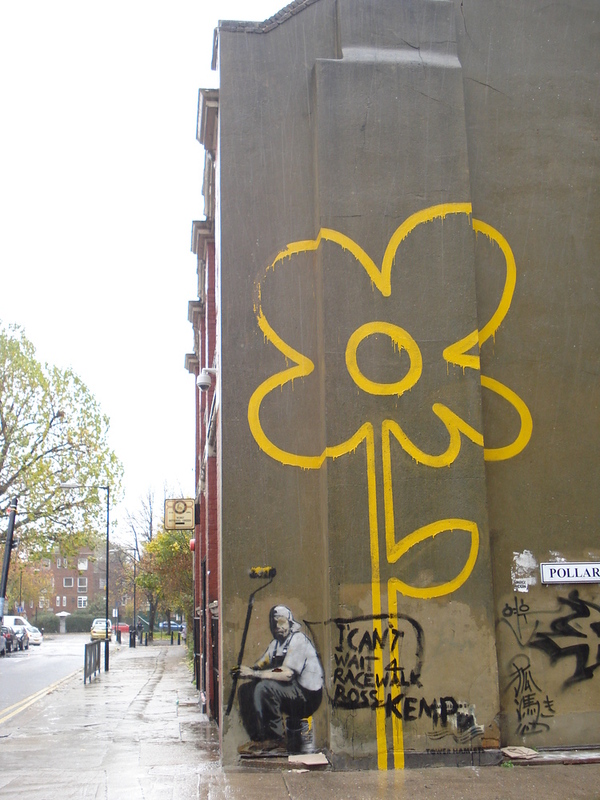 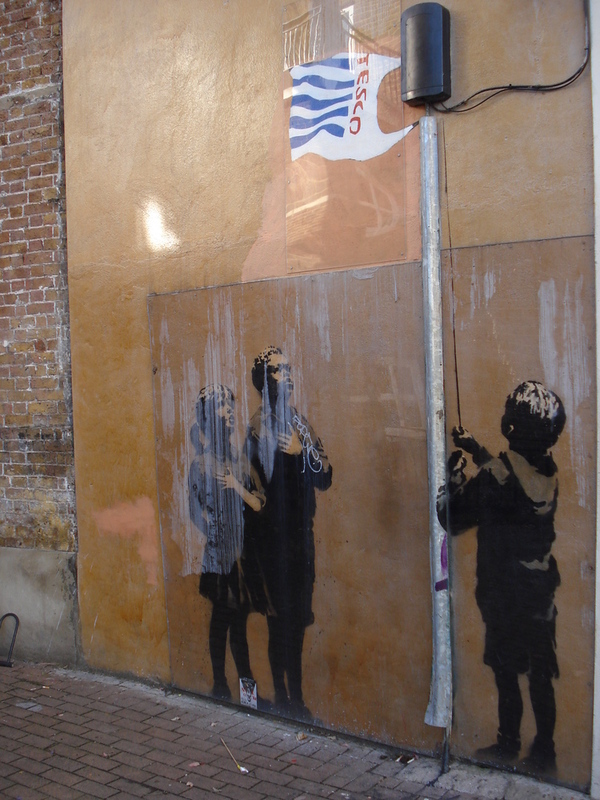 Banksy pieces can be found in several places around London. 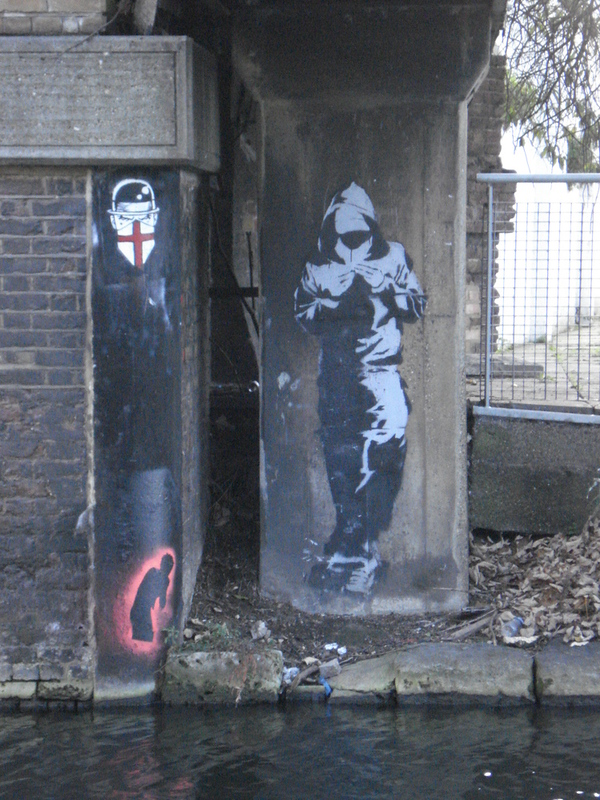 I used a Banksy Locations Map put together by Art Of The State to track down many of these. 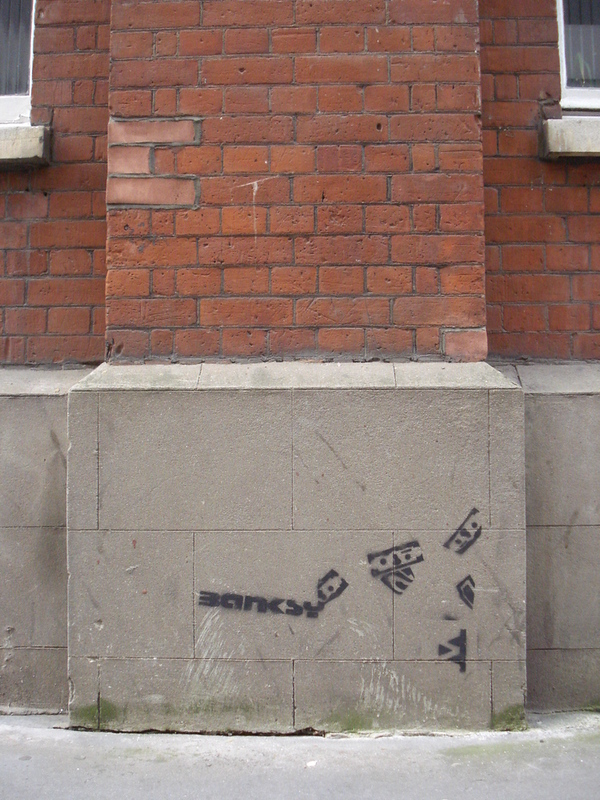 They pin the works on google maps and are quick to mark any that have been removed.